Swirling veils and clapping finger cymbals will transport you to another time and place -of ancient rhythms and beautiful women. 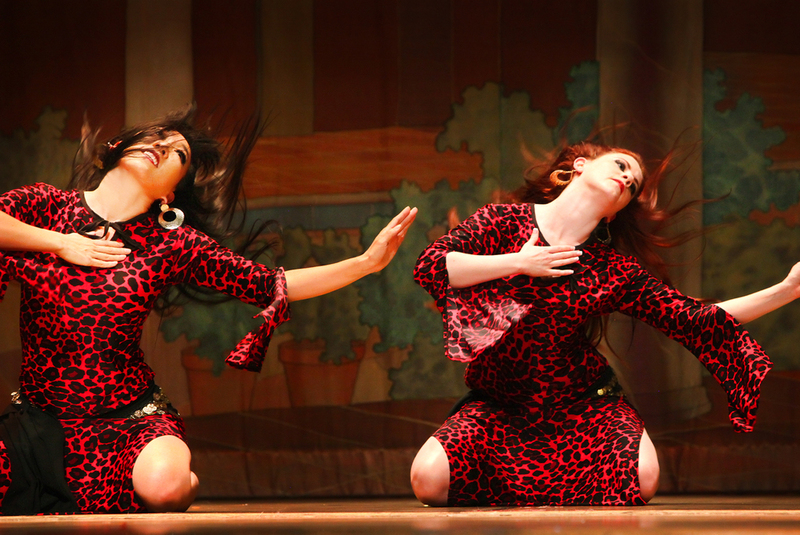 The Art of Bellydance is alive and well in the San Francisco Bay area. Come see a live show, check out our videos online, friend us on facebook or join us for a class! We have events and performances every week, so there's no reason to go without. The perfect combination of Passion for the Art, Professionalism, Discipline, and Beauty. When Khamsin shows up to the party, so does the FUN! Don't worry about the appropriateness of bellydance for young audiences. Kids love Khamsin! Book Khamsin for your holiday event now! Khamsin's November and December schedule is filling up quickly. If you'd like to give the gift of bellydance to your guests this holiday season, please contact Khamsin for all the information, or check out our Booking Page. Now through the end of November, Khamsin is hosting a donation drive for Dress For Success - a global not-for-profit organization that promotes the economic independence of disadvantaged women by providing professional attire, a network of support and the career development tools to help women thrive in work and in life. Khamsin is collecting new or nearly-new suits, other business-appropriate apparel, shoes or even accessories like handbags and unused cosmetics or jewelry. You can give you donation to any Khamsin dancer in class or at an upcoming performing.